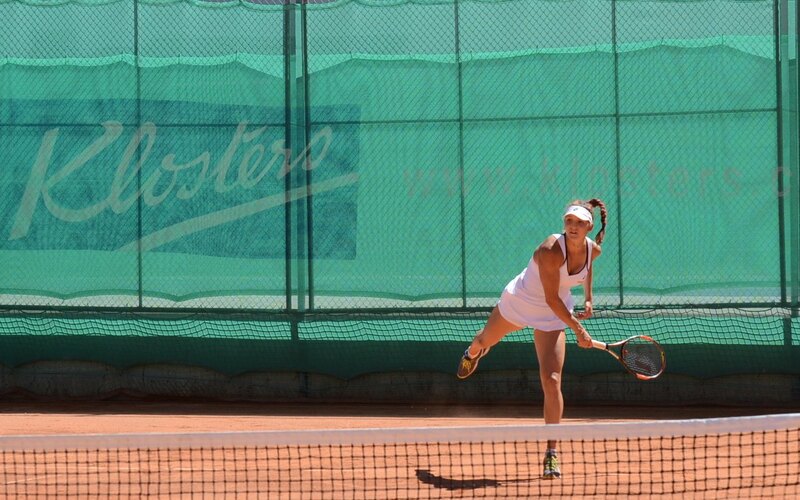 Rebeka Masarova (*1999 / SUI) with her WTA ranking of #314 (as of July 18, 2016) is currently the world highest ranked player before reaching the 17th birthday. 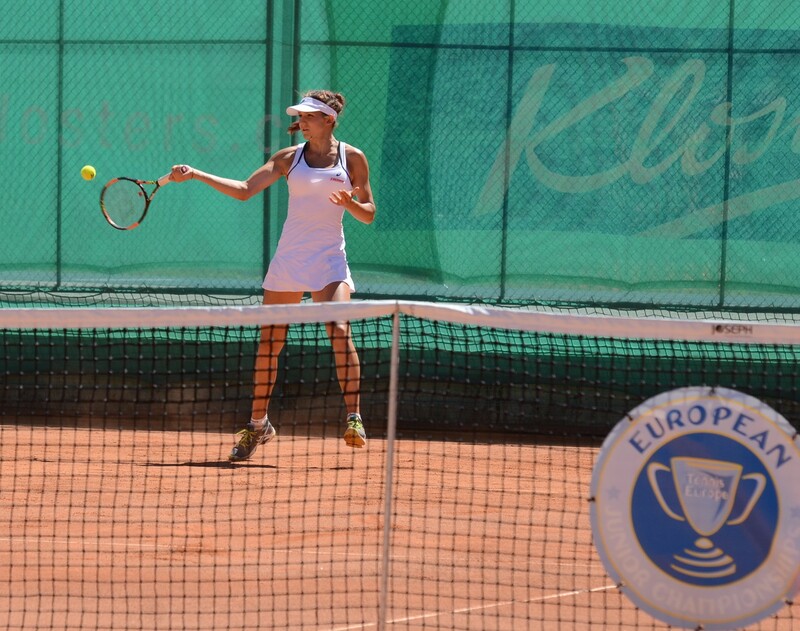 Rebeka, who won the 2016 French Open junior event a few weeks ago, considers service as her favorite stroke. 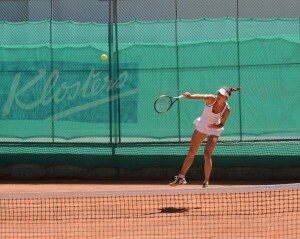 She has Slovak and Spanish roots and is currently being coached by her mother. 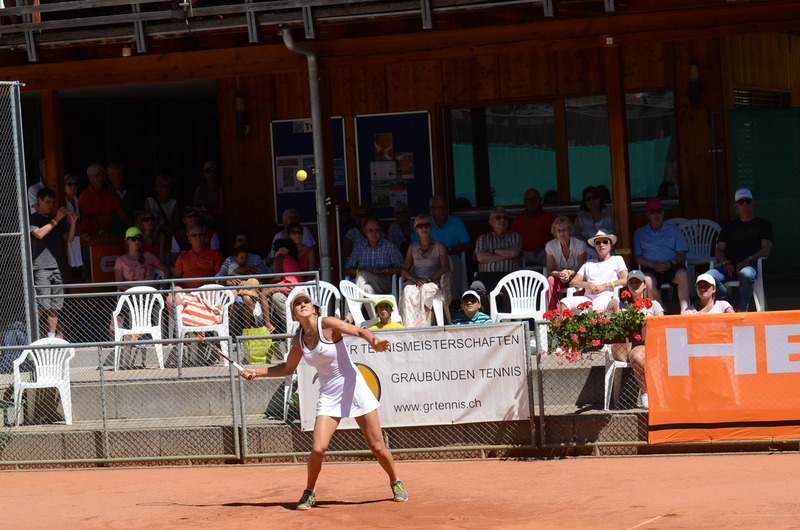 As practically all very successful Swiss female tennis players of the past over 20 years, Rebeka was developed largely privately outside of the regular Swiss Tennis Association program! 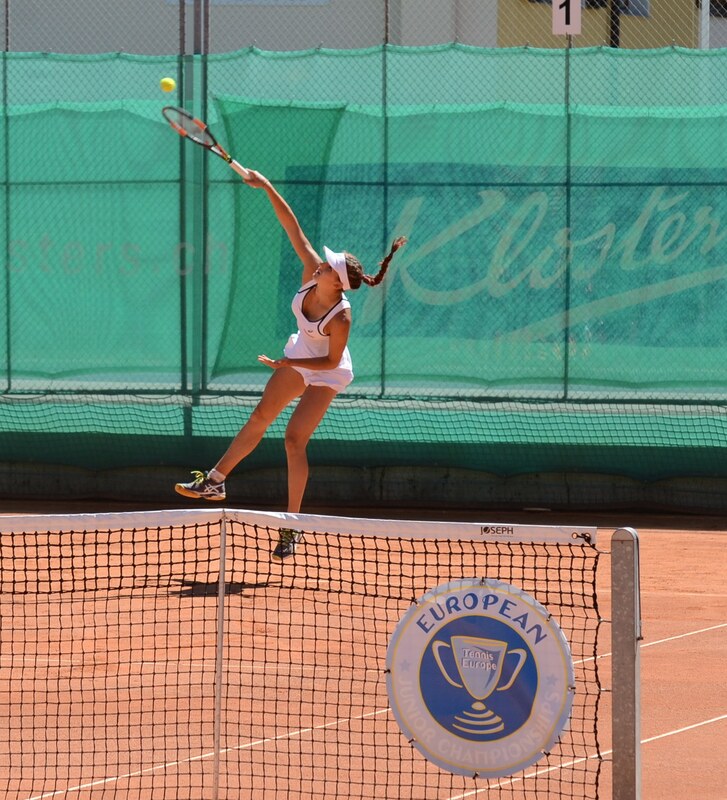 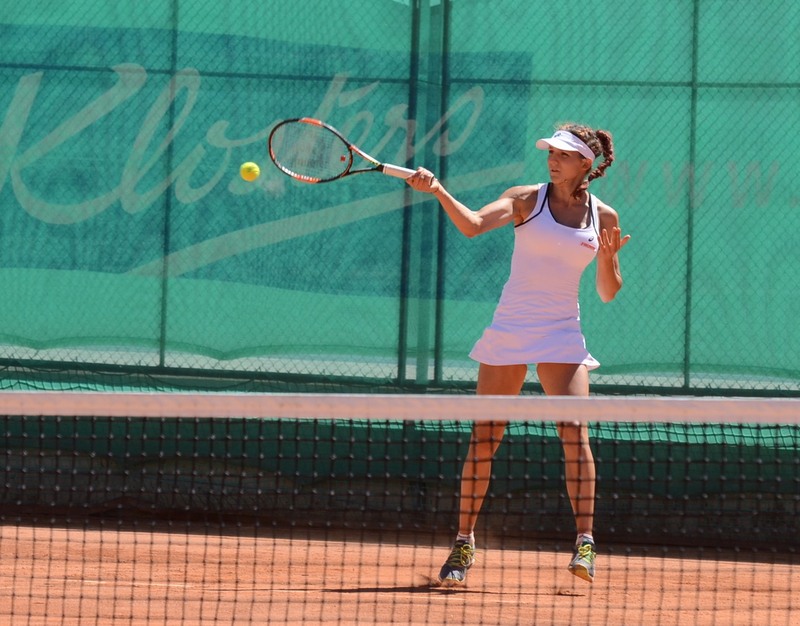 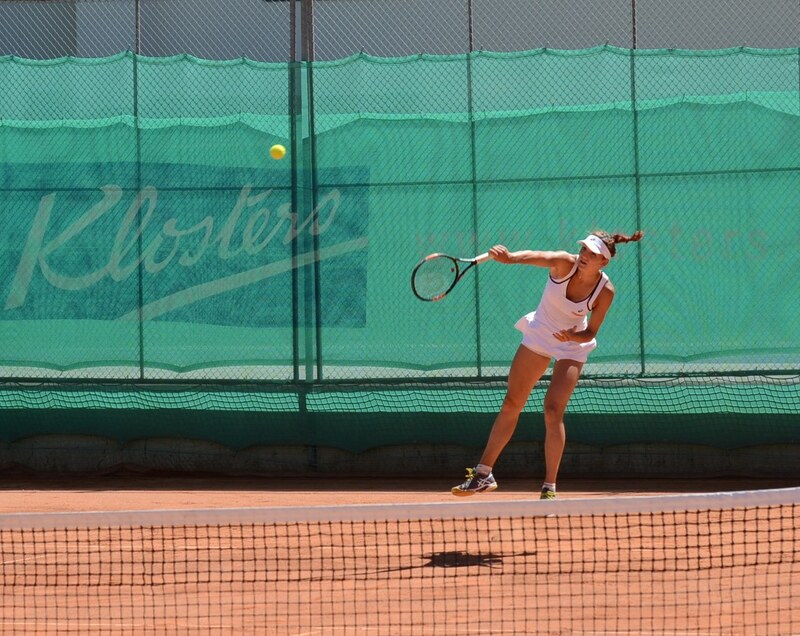 In the below-shown video of her serving point during a match at the 2016 European Junior Tennis Championships U18 in Klosters / Switzerland, we can see how Rebeka’s dominant service with a solid integration of the body energy into the stroke (well into the Service 3.0 quality) is putting her opponent under pressure and enables Rebeka to win the point with a solid body energy dominated forehand. 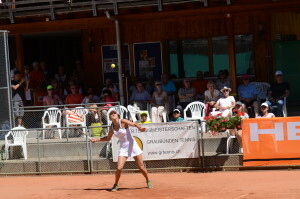 This forehand is then of a bit lower quality than almost perfect Forehands 3.0 shown on the photos further below. 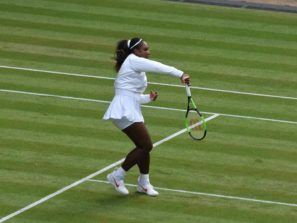 Solid transfer from the platform to the pinpoint stance, solid push-off, racket nicely lined-up and quite OK pronation on the service. 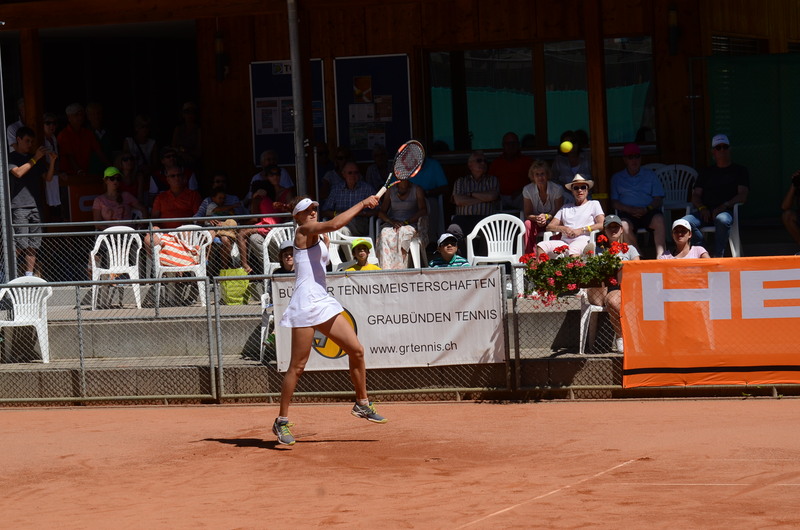 The forehand would need a bit more space for the racket to travel further against the intended target.